As waterways and their environs undergo the process of being restored and deemed valuable in the eyes of a variety of stakeholders, the multitude of their “values” has become apparent as residents and other interested parties seek to define, solidify, and justify their connections and right to these natural resources. How do we utilize them? What roles can the natural world play in our lives? This issue explores education along waterways. Education can be defined as “the process of giving or receiving systematic instruction, especially at a school or university.” It can also be defined as “an enlightening experience”. 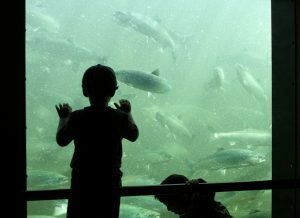 As communities look to a future in which equitable access to reclaimed natural resources is one of the foundational pieces to healthy, sustainable communities what kind of educational experience is owed the people living along our urban waterways? Do either of the above definitions suit the task before us or is it a combination of the two? 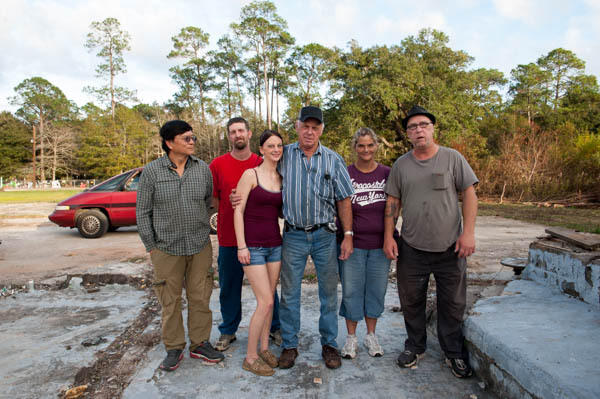 December 12, 2015 – Coden, Alabama – Paul Nelson with friends and supporters at the site of his former oyster processing plant which was wiped out during Hurricane Katrina. Susana Raab/Anacostia Community Museum/Smithsonian Institution. 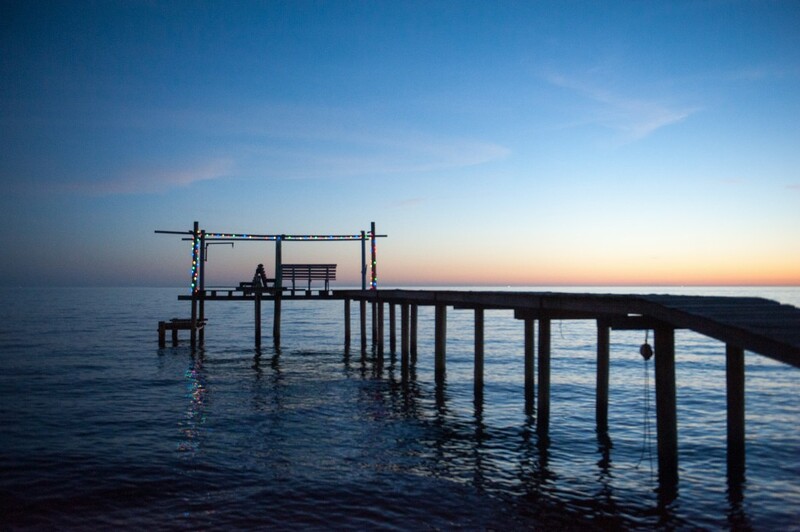 The last stop on our Gulf Coast tour was the historic town of Bayou La Batre, made famous by the movie Forrest Gump. Here local activist and former 3rd generation shrimper Paul Nelson leads efforts to improve services for the town which was devastated by Hurricane Katrina when the highest storm surge ever recorded in the area (16 ft), and then again by the BP oil spill, 5 years later. Mr. Nelson had a prosperous oyster business back in 2005, and a processing plant, the foundation of which is pictured below. No stranger to rebuilding a business, Mr. Nelson restarted his fishing business as a younger man after another disaster, but says of this time, “I am too old to begin again.” Now, the foundation of his oyster processing plant is a home to an RV and trailer, which provide permanent housing for Mr. Nelson’s relatives, 10 years after Katrina first made shore. 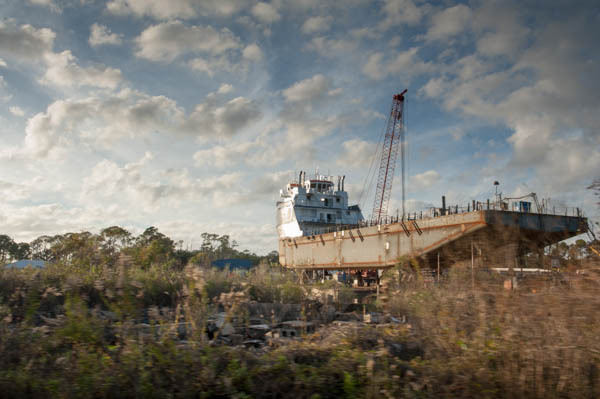 December 12, 2015 – Coden, Alabama – The concrete foundation is all that remains of fisherman Paul Nelson’s oyster processing plant which was wiped out during Hurricane Katrina. 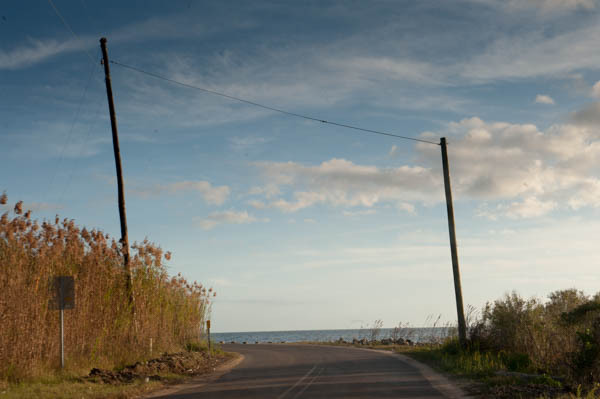 December 12, 2015 – Coden, Alabama – Paul Nelson gives a tour of Coden and Bayou La Batre, Alabama which was devastated by both Hurricane Katrina and the BP oil spill in the Gulf of Mexico. 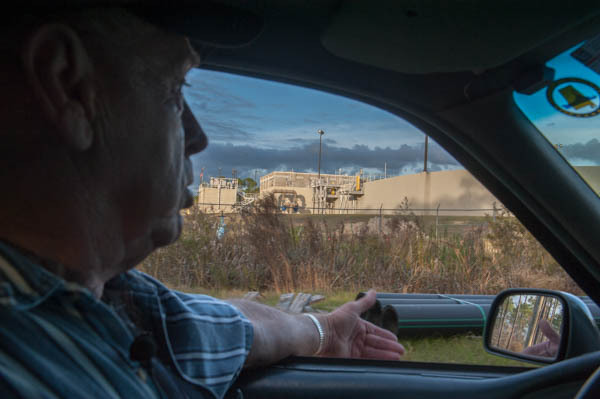 December 12, 2015 – Coden, Alabama – Paul Nelson gives a tour of Coden and Bayou La Batre, Alabama, showing us a new waste treatment plant that the local government had built. December 12, 2015 – Coden, Alabama – The Gulf Coast shoreline of Bayou La Batre, where vacation homes were rebuilt following Hurricane Katrina. December 12, 2015 – Coden, Alabama – An ante-bellum home which was rebuilt after Hurricane Katrina destroyed it is situated on the Gulf Coast road in Bayou La Batre. 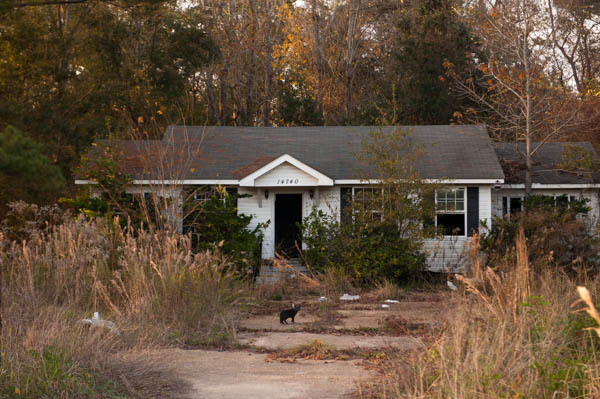 December 12, 2015 – Coden, Alabama – A home abandoned since Hurricane Katrina. 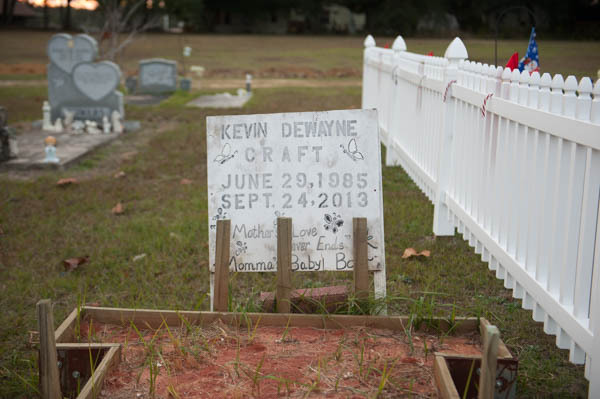 December 12, 2015 – Coden, Alabama – The grave of Mr. Kevin Dewayne Craft, Mr. Nelson’s stepson, who died of an unknown health ailment in 2013 at the age of 28. Mr. Nelson locates many of the community’s health problems to after an oil dispersant was sprayed over the Gulf Coast shores in the aftermath of the BP oil spill. The dispersant was meant to put the oil on top of the water at the bottom of the ocean. Today Mr. Nelson continues to advocate on behalf of his beloved Bayou La Batre. The first day we went to see him Mr. Nelson never showed up. He was in the hospital dealing with complications from diabetes and blood clots. Despite his illness, Mr. Nelson insisted we come back the next day, finishing the tour in his modest pre-fabricated home, where Urban Waterways researcher interviewed him for several hours. 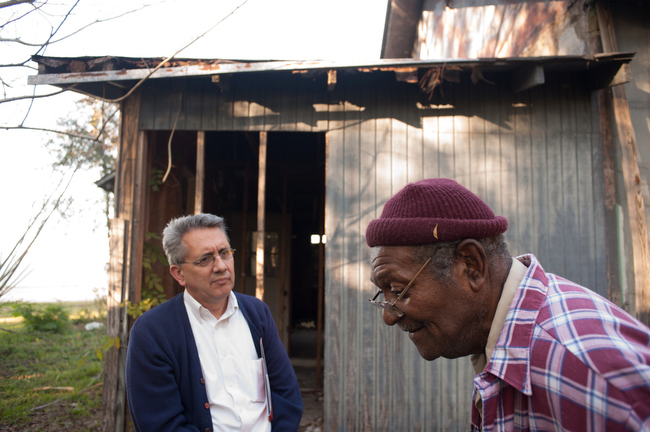 December 12, 2015 – Coden, Alabama – Local activist Paul Nelson gives an interview in the trailer that serves as his home after his home was destroyed in Hurricane Katrina. 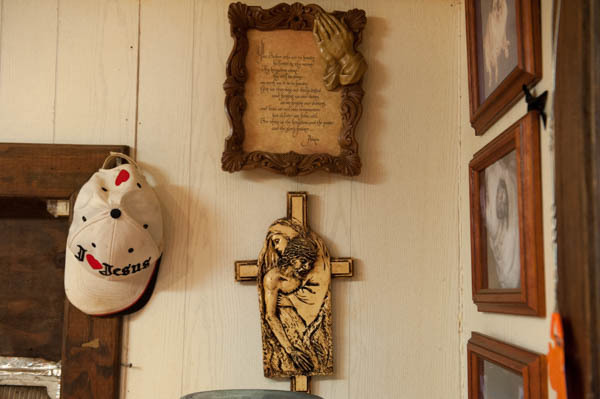 December 12, 2015 – Coden, Alabama – A vignette in the home of Paul Nelson. All the interviews and audio we collected our available by making an appointment with the Anacostia Community Museum Archives. We encourage you to visit our archives and use our research for your own studies. 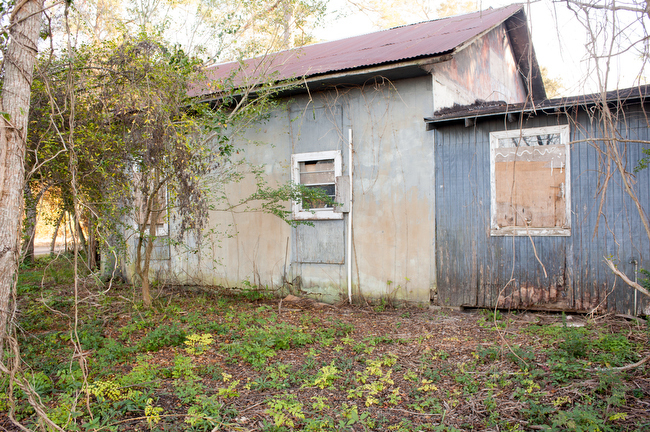 December 11, 2015 – A historical exhibit in Africatown near Mobile, Alabama. Africatown, Alabama was the location of our penultimate stop along the Gulf Coast for this segment of the Urban Waterways Research Project . Africatown, which is also known as AfricaTown USA or Plateau, is located just 3 miles north of downtown Mobile. 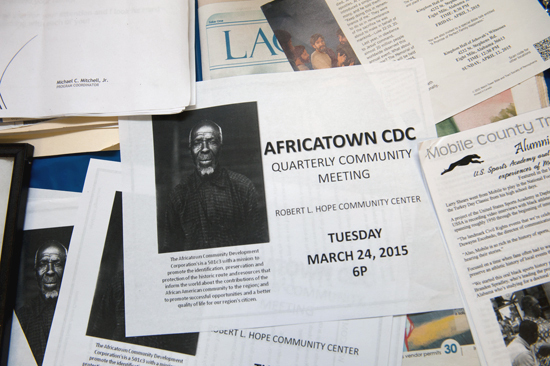 The origin story of Africatown is inexorably tied to the story of slavery in the U.S. The slave trade had been outlawed in the US in 1808. Just prior to the beginning of the Civil War, a group of wealthy southern landowners wagered a bet that they could defy federal law and import a boat of slaves undetected into the US. Timothy Meaher, a Mobile businessman, financed the last known ship of enslaved Africans, the Clothilde, to Alabama after betting an alleged $100,000 that he would do so undetected. 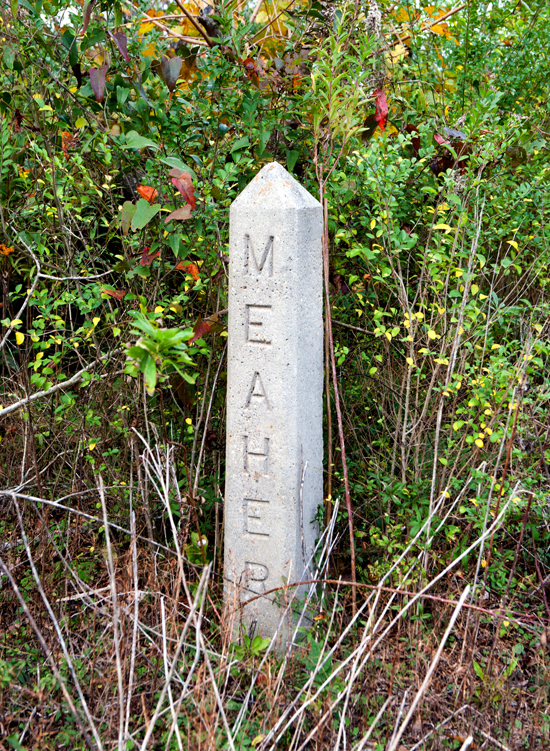 December 11, 2015 – A marker commemorates the name of Meaher in Africatown, Alabama. Meaher lost his bet, but avoided conviction, likely because of the start of the Civil War. 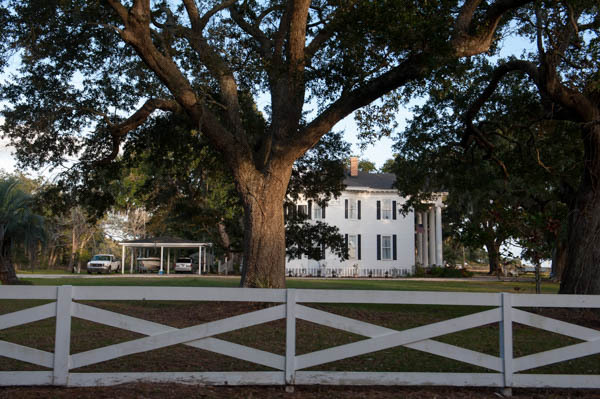 The majority of the slaves stayed in the area, first as slaves owned by investors in Meaher’s folly, and later as a free people following the outcome of the Civil War. 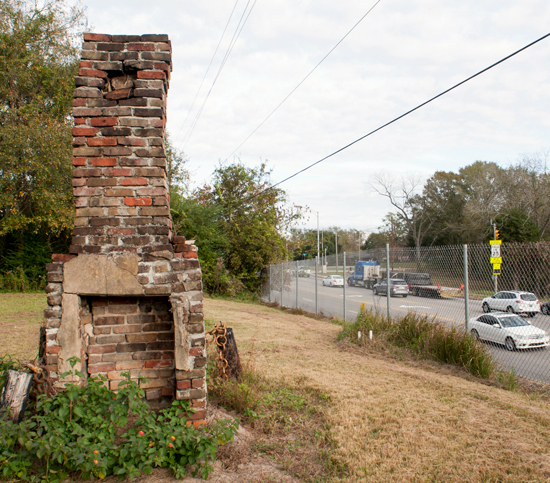 December 11, 2015 – The only remaining remnant of former slaves homes is a chimney in Africatown, Alabama. They settled on Meaher’s land, designing a community very much like that of their West African homeland, retaining their language, traditions and culture well into the 21st century. December 11, 2015 – Magazine Point, the site where the passengers of the Clothilde first disembarked at the convergence of the Mobile River and Three Mile Creek. Today, the city of Mobile has built up around Africatown. 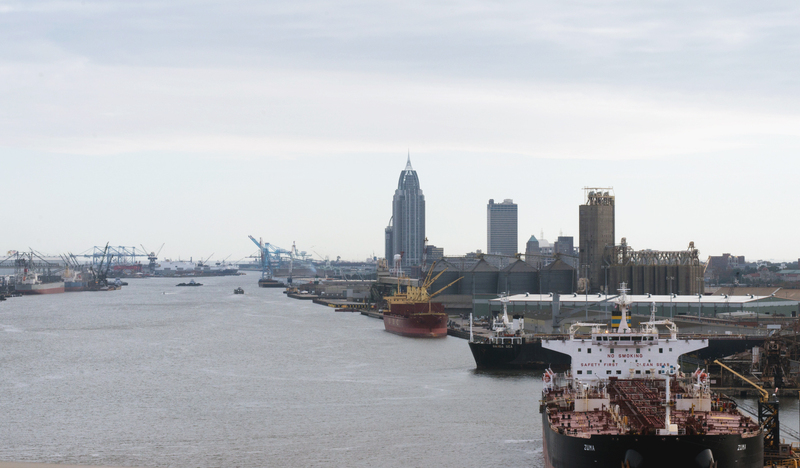 Access to the Mobile River, including the site where the Clothilde’s passengers first disembarked – a site of historical significance known as Magazine Point, is populated by a tank farm which holds tar oil sands imported from Canada. December 11, 2015 – Containers and cargo line the shoreline of the Mobile River near Africatown, Alabama seen from the Cochrane-Africatown Bridge. Another tragedy occurred when the Africatown Guardians were convinced to let the Alabama Highway Department rebuild The Cochrane Bridge after it had been damaged during a hurricane. Before then the Africatown residents had always resisted efforts to rebuild the bridge. The Highway Department told Africatown they would change the name of the Cochrane Bridge to The Africatown Cochrane Bridge and the residents fell for it. Today that bridge that used to be about one quarter mile long is now about 2 miles in length and half of Magazine Point had to be destroyed or moved to accommodate this new bridge. That area was next declared a flood zone and now to get a permit to repair older homes, residents must first raise their house to a certain level and most residents can’t afford to do that. Consequently, houses are not being repaired. Miraculously, residents manage to maintain their homes as best they can. 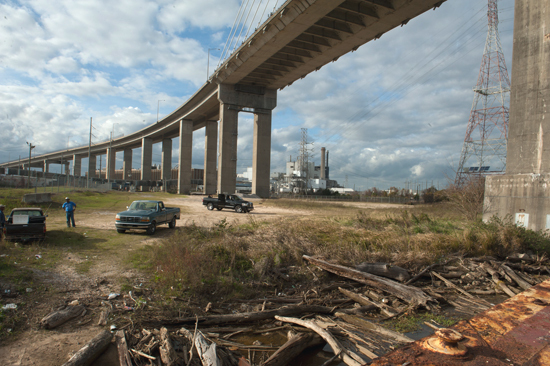 December 11, 2015 – Local activist Joe Womack stands underneath the Cochrane-Africatown Bridge near where the passengers in the Clothilde disembarked. Ironically, Magazine Point is also the final resting place of this last shipment of slaves because Africatown’s Cemetery is located in Magazine Point. Their graves face eastward, towards their African homeland. 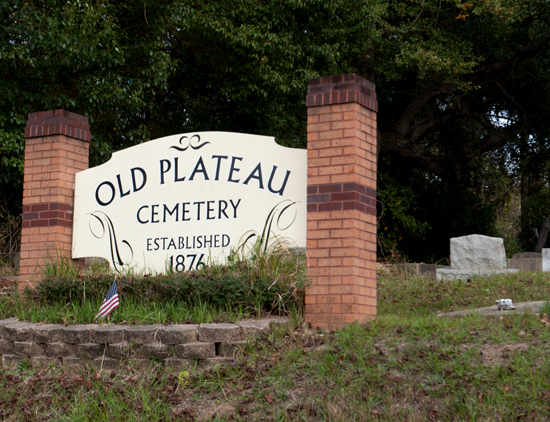 December 11, 2015 – The Old Plateau cemetery established in 1876 for Africatown residents. The community of Africatown represents the resilience and community organizing spirit of a people brought to America against their will, and who survived, adapted, and perhaps thrived, not because of but in spite of (to paraphrase William Faulkner). This is part one of our Africatown sojourn. 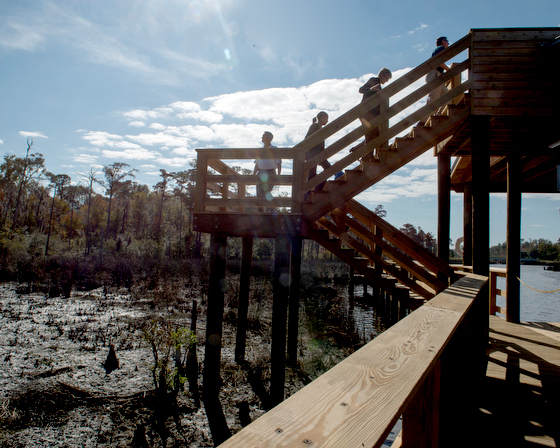 To be continued . . . .
December 10, 2015 – The Pascagoula River Audubon Center in Moss Point, Mississippi. A third stop on our tour of the Mississippi/Alabama coast was the small town of Moss Point, Mississippi. 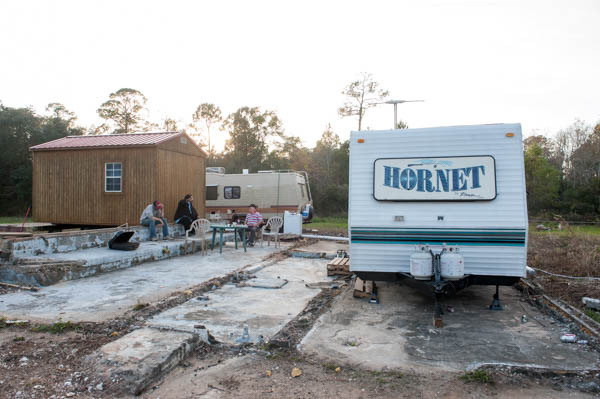 A small community with a population less than 20,000 people, Moss Point was hit by the strong eastern side of Hurricane Katrina, when it passed 30 miles east of central New Orleans. Much of Moss Point was flooded or destroyed in one day, by the strong hurricane-force winds which lasted several hours and a storm surge exceeding 20 feet in some areas. You can see some of the devastation at Moss Point in the wake of the hurricane here. 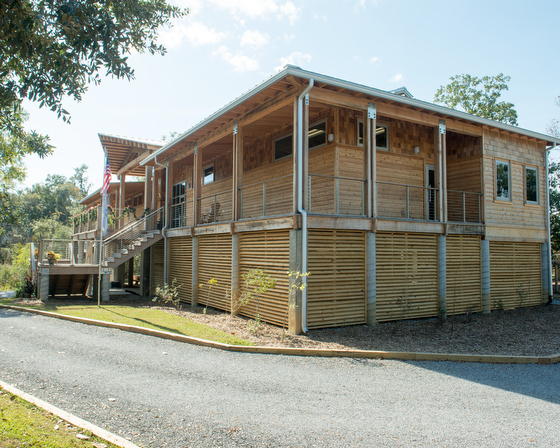 We were coming to tour the Pascagoula River Audubon Center, a part of the National Audubon Society: a non-profit organization focused on promoting conservation and education about birds and wildlife and the habitats that support them. Perched on the watershed of the Pascagoula River, one of the last, large, free-flowing river systems in the contiguous United States, a state of the art green building houses the center. This place is a birder’s paradise, with over 300 species of birds enjoying the ecosystem there. 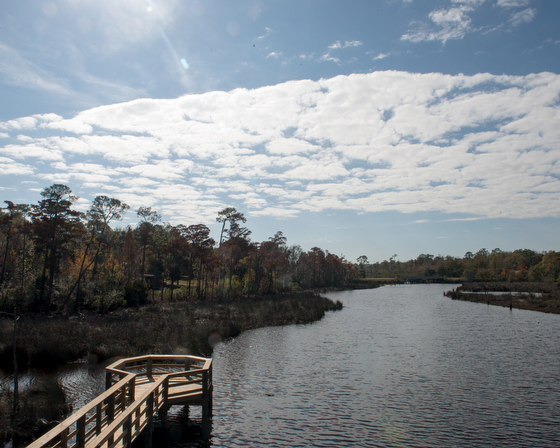 December 10, 2015 – The Pascagoula River Audubon Center in Moss Point, Mississippi. 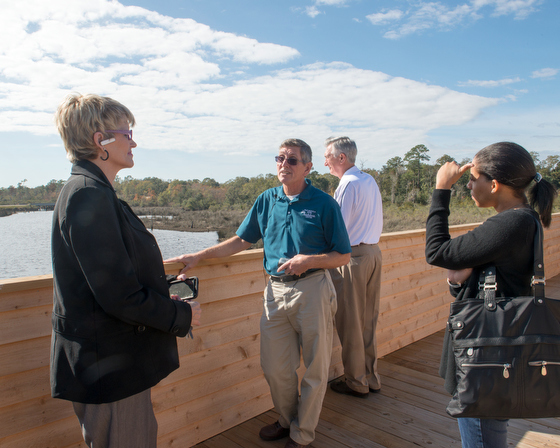 Here, Mark LaSalle at the center gives a tour of the wetlands around the center. Mark LaSalle is the Director of the Pascagoula River Audubon Center. 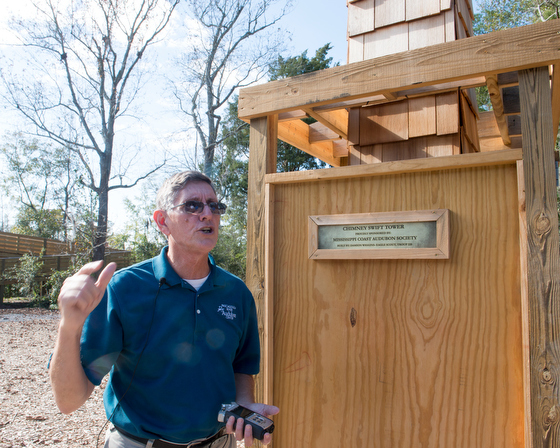 Mark is responsible for coordinating the continued development of the Center and expanding Audubon’s educational and citizen science programs in south Mississippi. Mark is a wetland ecologist, providing expertise on wetlands, water quality and environmental impacts of humans. Mark is the recipient of the Chevron Conservation Award, the Mississippi Wildlife Federation Conservation Educator Award, and the Boy Scouts of America Silver Beaver Award. Mark’s passion for his work is palpable as he shows us around the Center and the many sustainable environmental practices they have implemented. He also saved an original 1930’s boy scout cottage on the center’s site which is used for small group meetings. He was instrumental in helping the community leaders of Turkey Creek protect that body of water from further development. 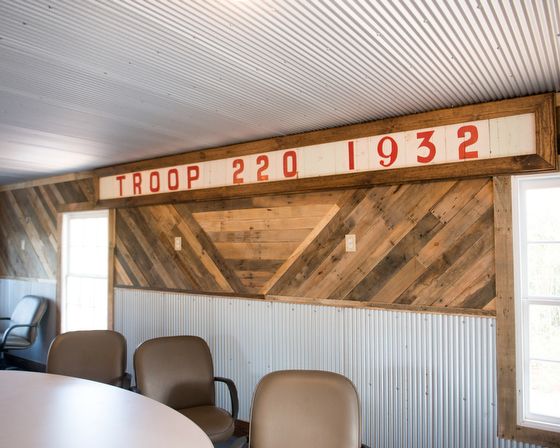 December 10, 2015 – Inside the restored cottage of Mississippi Boy Scout Troop 220, dating from 1932. Together, Audubon and community leaders in Gulfport, Mississippi are protecting Turkey Creek‘s rich cultural and natural history. When LaSalle became director of the Pascagoula River Audubon Center, 30 miles from Turkey Creek, he brought with him a commitment to the community’s plight. With local activist Derrick Evans, Mark began small with simple events like Creek Sweep focused on getting people into the “creek” to remove decades of debris. 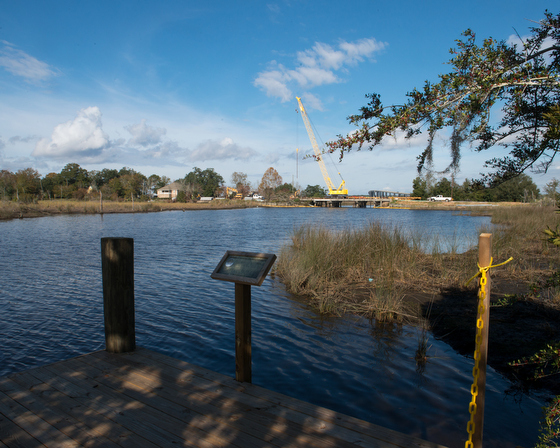 December 10, 2015 – Development on the Pascagoula River near the Audubon Center at Moss Point, Mississippi. Promotion of the Great Backyard Bird Count and a one-day Biological Inventory of the creek helped to highlight just how special the area was as a refuge for common birds and wildlife and as an important stopover for migrating birds in spring and fall. 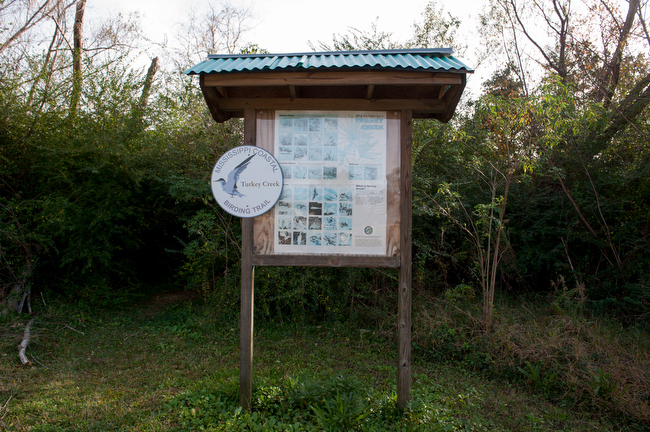 The value of the site for birds led Audubon and the Mississippi Coast Audubon Society to recognize Turkey Creek as a site on the Mississippi Coastal Birding Trail. 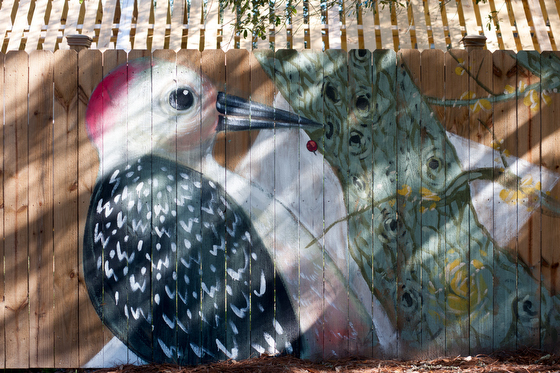 December 10, 2015 – The Pascagoula River Audubon Center coopted the resources of a visiting artist to make these murals on the center’s fence at Moss Point, Mississippi. 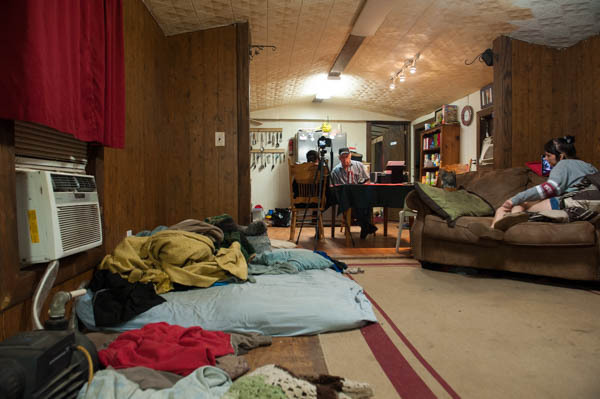 December 10, 2015 – The Chimney Swift Tower, built by a boy scout for his project, provides shelter to the only swift occurring regularly in the east. It once nested in hollow trees, but today it nearly always nests in chimneys or other structures. Because the bird can be easily captured and banded in such situations, it has been studied much more thoroughly than other North American swifts. In late summer, hundreds or even thousands of individuals may roost in one large chimney, gathering in spectacular flocks overhead near dusk.. I left inspired by the good work that Mark LaSalle and his staff do at the Pascagoula River Audubon Center in Moss Point, Mississippi: from preservation to education, advocacy and coalition building, the center is doing good work to preserve the environmental resources for future generations on the Mississippi Gulf Coast. 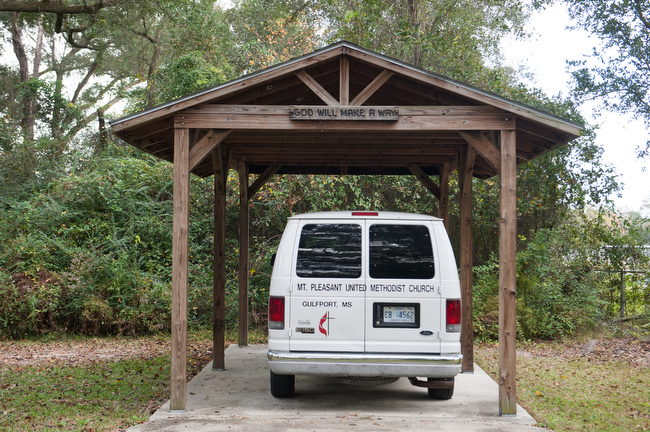 Turkey Creek, Mississippi, was once an isolated waterway until the city of Gulfport’s growth built around the watershed (which abuts the international airport). 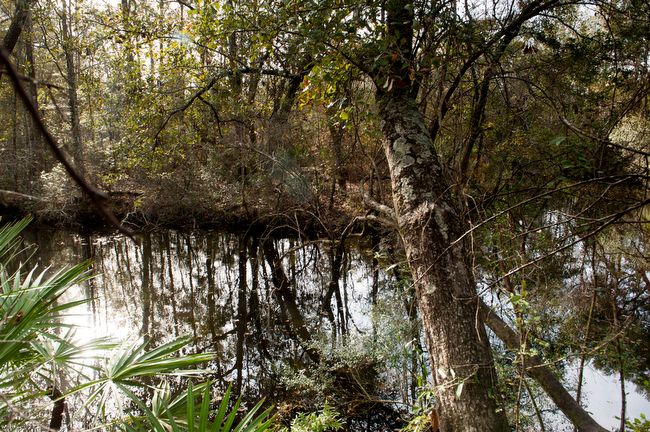 Today, Turkey Creek is a watershed at risk of development. 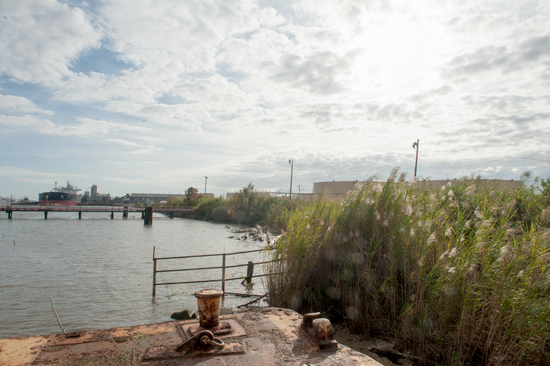 In early December the Anacostia Community Museum Urban Waterways project headed to Gulfport, Mississippi to continue fieldwork on communities facing a myriad of issues on the Mississippi and Alabama Gulf Coasts. Long before Hurricane Katrina and the BP Oil spill created environmental havoc on this major urban waterway of the Gulf Coast, communities like Turkey Creek, MS, and Africatown, AL, were being formed by newly freed slaves (Turkey Creek), and by slaves that were brought to this country and released before they were sold (Africatown). Today the damaging legacy of the Jim Crow south where racial inequality informed urban planning has been compounded by natural and man-made disasters which threatens the communities researcher Katrina Lashley and I visited. Turkey Creek, Mississippi is the subject of a documentary by Leah Mahan, Come Hell or High Water: The Battle for Turkey Creek. The film follows local Derrick Evans’ struggle to defend the coastal Mississippi watershed where his ancestors settled as former slaves. Following his journey for ten years, Derrick and his allies confront blatant racism of city officials and short-sighted plans for development that would destroy the ecology and culture of Turkey Creek only to face our nation’s most devastating, natural and manmade disasters: Hurricane Katrina and the BP oil disaster. By finding community stakeholders, like bird lovers, Turkey Creek was able to tell its story on the national level, by partnering with migratory birds and the Audubon Society, awareness was raised and action taken to protect the watershed. 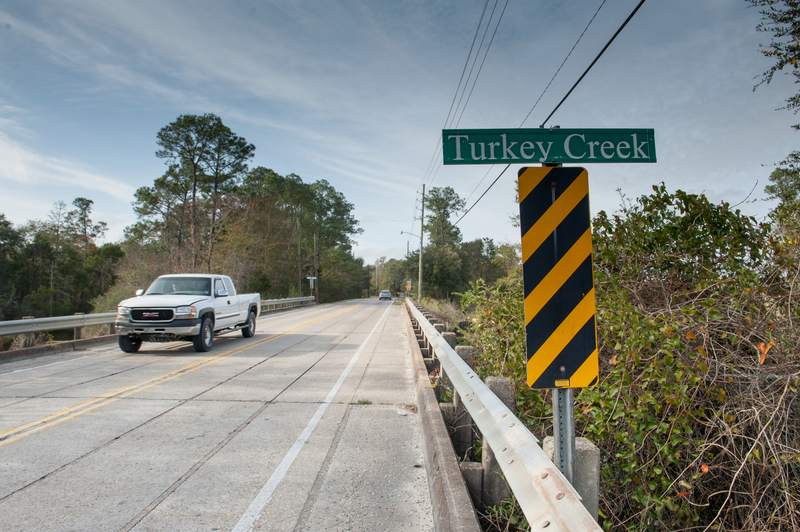 Today, Turkey Creek is a small community sandwiched between the Gulfport International Airport, and strip malls. 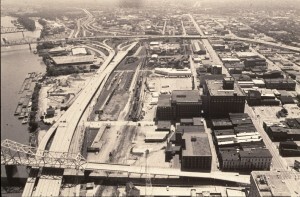 Like many successful communities, Turkey Creek negotiated a livelihood for its residences when it established a Creosote Plant to employ its residents. The Creosote Plant is long gone, but we toured one of the buildings associated with the plant that the community is seeking to preserve. 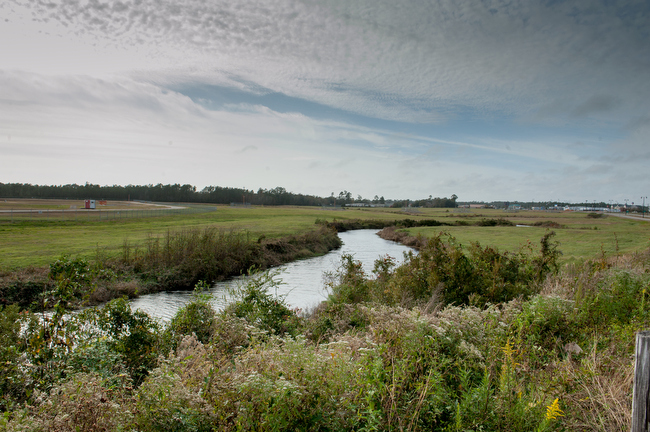 December 13, 2015 – Turkey Creek, Mississippi, where the airport was built near the watershed. 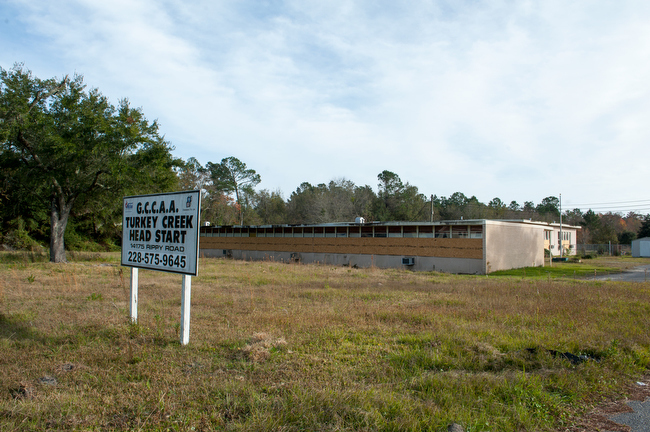 December 8, 2015 – Mr. Eugene Johnson, a resident of Turkey Creek, MIssissippi talks about life in Turkey Creek outside a building which housed the office of the Creosote plant in Turkey Creek. Listening to the stories of what these communities struggle with, and witnessing their coalition building as they gather support among like-minded communities along the Gulf was a powerful lesson before the winter holidays. I was poignantly reminded about how fragile our history is, the depth of human suffering, and the power and necessity of partnership in speaking truth to power. 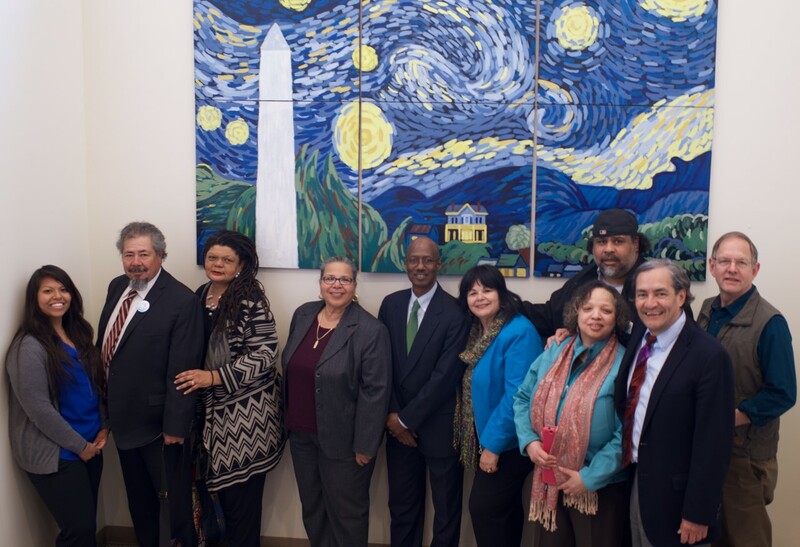 It is through recording and disseminating stories like those of Turkey Creek and the Gulf Coast that the Anacostia Community Museum seeks to share and store history and culture for the betterment of communities in the future. 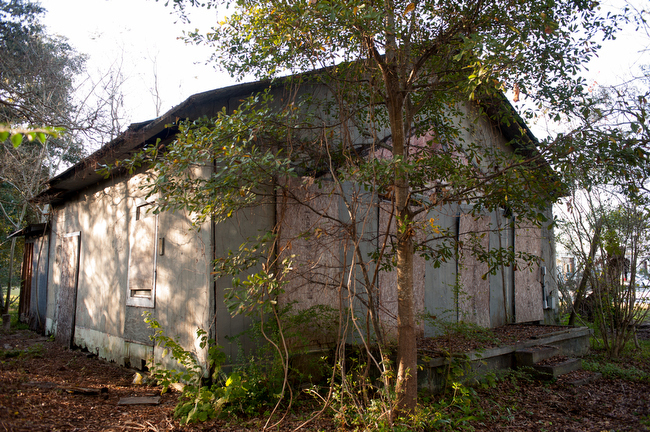 December 8, 2015 – The former office of the Creosote Plant in Turkey Creek, Mississippi. 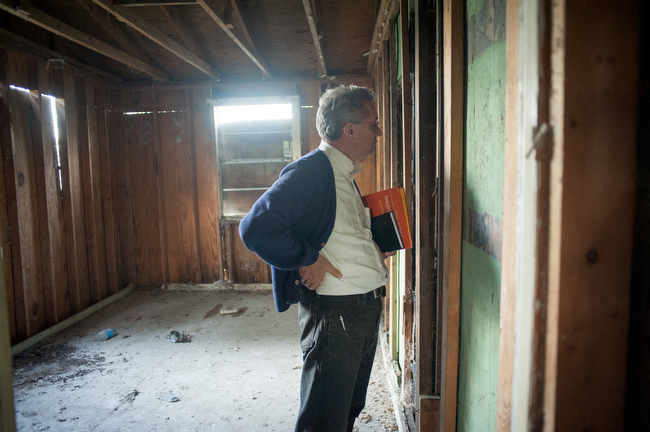 December 8, 2015 – One of the architects working on preserving historical buildings in Turkey Creek tours the old office of the Creosote Plant at Turkey Creek, Mississippi. This forum aims to bring residents together to explore the traditional image of environmentalists, the assumptions made about communities of color in regards to environmental and sustainability issues, and the truth behind such prejudgments. Do minorities feel represented? Is there a lack of trust between traditional environmentalists and communities of color? How do communities define environmentalism and their relationships to urban waterways? What steps have been taken to make the table more inclusive? What are the possible social and political consequences of such inclusion?